A neat Retro Cartoon-styled Indie Platformer has finally arrived, CUPHEAD! 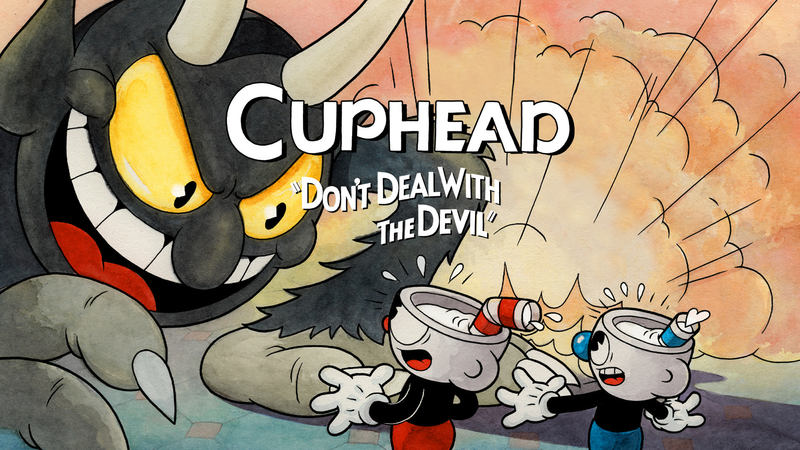 In case any of you don't know, Cuphead is this Run and Gun-styled game that is similar to games like Gunstar Heroes and Contra, except with a Whimsical Old-Looney-Toons/Mickey-Mouse/Felix-The-Cat-esque theme to it with a lot of silly antics and slapstick humor and more. After a few delays, it is finally here, and totally was worth the wait. Basically, you play as Cuphead and Mugman, a pair of boys who as their names imply, have cups for heads, who live in the crazy land of Inkwell Isle. One day, they decide to test their luck at a casino run by The Devil himself, and they end up paying the ultimate price once they lose. However, The Devil strikes a bargain with them. If they can collect the souls of a number of others who still owe a debt to him, he'll let them free. So Cuphead and Mugman go out to seek them out and hopefully keep their souls. The game has a lot of different moves and abilities you can use, such as being able to slap and parry pink objects and projectiles (or even your teammate's ghost if he gets defeated to bring him back), Special Attacks you can use, and even certain levels where you ride a plane and take to the skies. The game is really hard though, has a boatload of bosses, very tricky levels, and more. Not an easy game for sure. The Old School Cartoon stuff to it is rather well done, amazing how they capture the style so well in it, and even use classic cartoon gags for the attacks that you and your enemies utilize, and the comical ragtime-ish music. Even for people who aren't really Retro Cartoon fans, I bet this game would still be fun! You should try it!